- Royal passed citadel of Hue to study the life of Vietnamese king in the past. 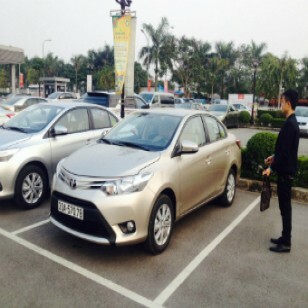 Pick up from Danang airport after your landing-off there, transfer to the restaurant to have lunch. 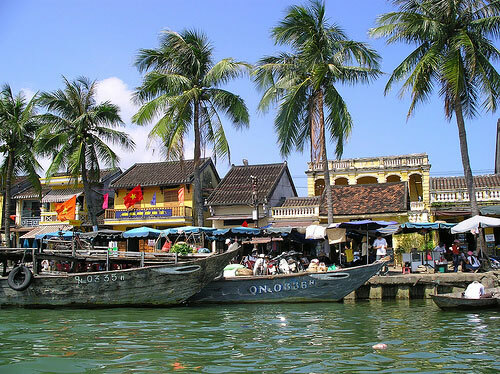 After breakfast, we drive to Hoi An – Ancient city with many old houses and traditional lifestyle. On the way, we stop to visit the Marble Mountains – this you can explore Buddha temples and Caves. After, we stop at Tra Que Village to learn how the local farmers grow vegetables with organic method. Most of the time for us is to explore the beauty of Hoi An Ancient city. 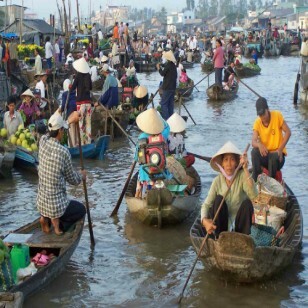 We will visit a handicraft village to learn how the Hoi An people to feed silkworms and make silk, a Chinese temple, a old house Tan Ky, local market, a museum and Japanese Bridge. We also take time to go a walk thought the streets with many old houses for taking great pictures. Stop at on famous restaurant to have lunch with local foods. 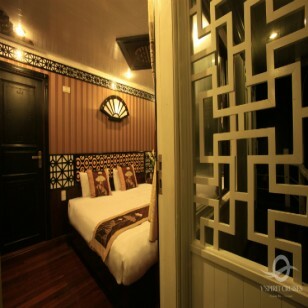 Today, we will visit Hue city. 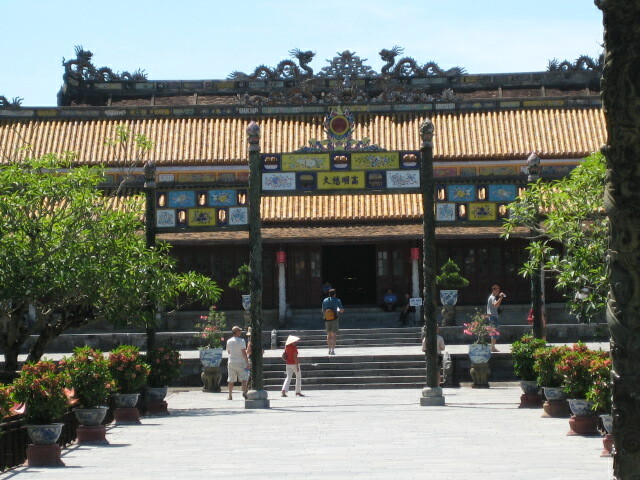 Hue was the capital of Vietnam during Nguyen dynasty from 1802 to 1945. 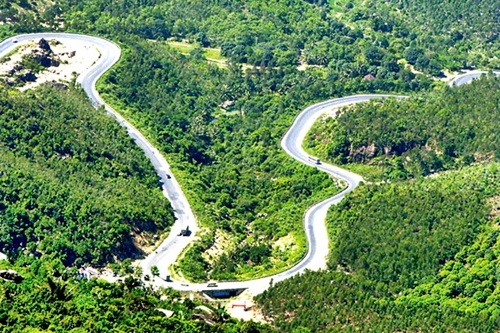 On the way to Hue, we will stop to visit Hai Van pass and Lang Co bay to take pictures. 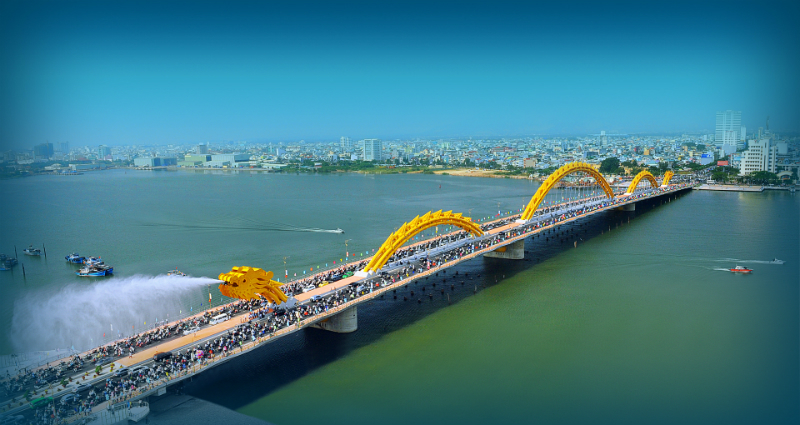 In Hue city, we will visit the Citadel, Forbidden City, Royal Museum, Thien Mu Pagda, Khai Dinh Tomb and enjoy a boat trip on the Perfume River from the city to Thien Mu pagoda. We have lunch at nice restaurant. We will visit My Son holy land. 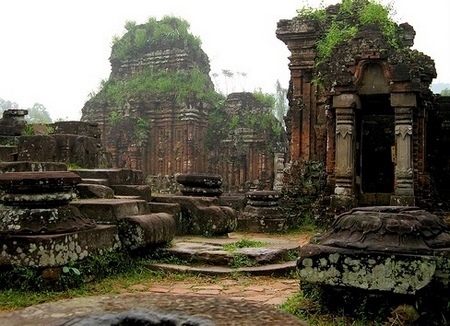 My Son sanctuary has many old temples and towers of the Cham people which were built from 7th to 13th century. We will visit My Son with half of a day; the rest of day is free for you to do what you like or just relax on the beach. 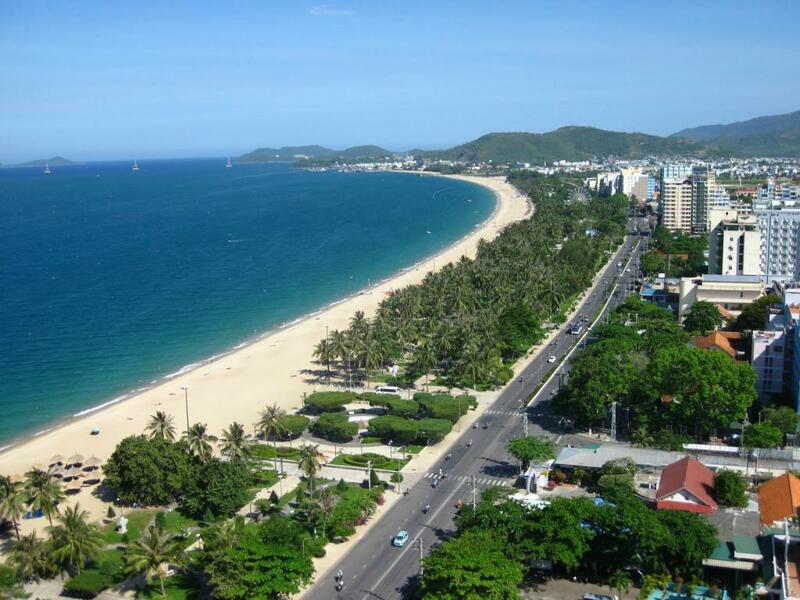 On the way, we have lunch and come back Danang to relax. 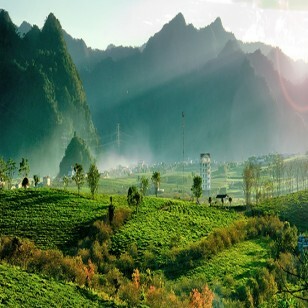 Enjoy your morning by yourselves until the requested time then our car will come to transfer you back to the international airport for flying home. 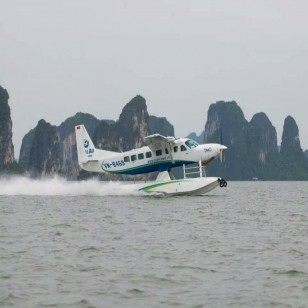 Good bye Vietnam! +Any additional expenses caused by reasons beyond our control such as natural calamities (typhoon, floods), flight delays, rescheduling or cancellations, any accidents, medical evacuations, riots, strikes etc.